VDMA Working Group "Standardized Interfaces in the Glass Industry"
The VDMA working group "Standardized Interfaces in the Glass Industry" is working on manufacturer-independent standards with the participation of machine builders, software manufacturers and users. Since most companies work with several different manufacturers' machines, currently many individual interfaces for communication between the machines and with the MES and ERP systems must still be developed. A lot of configuration work could be eliminated with the use of standardized interfaces. 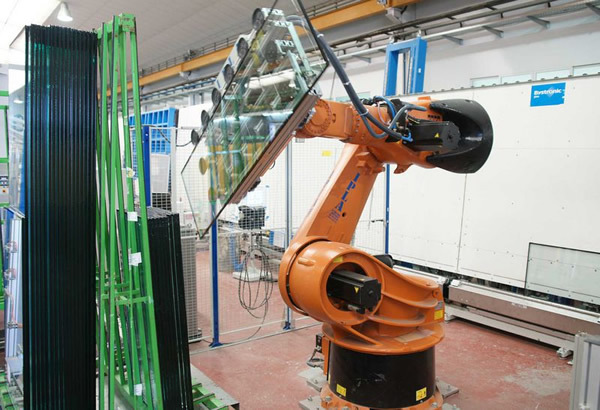 The goal of the VDMA working group 'Standardized interfaces in the glass industry' is, through development of a common standard for manufacturers in the flat glass industry, to make machine communication between different manufacturers' systems and superior systems fit for the future and therefore to enable highly efficient Industry 4.0 production environments. For the user, this is definitely good news on the path to the Smart Factory! In order to formulate initial application scenarios with respect to the required information models and parameters, a machine type was selected. The working group selected the 'cutting table' technology that is right up front in the process chain in the flat glass industry. Machines of this type are relatively homogeneous and the upstream and downstream production steps are similar. The working group convened for another meeting on November 20, 2018 at the software producer A+W. Pleasing is that there was a lively discussion with broad participation by leading machine manufacturers and software companies from the glass industry, and users (e.g. Frerichs Glas, SEMCO, and Schollglas) were also present. This indicates just how important this topic to the industry! A machine should log into the MES so that an immediate automatic incorporation becomes possible, the way printers work in Windows today. The machines should provide varied data for product tracing. Industry 4.0 has arrived in the flat glass industry. 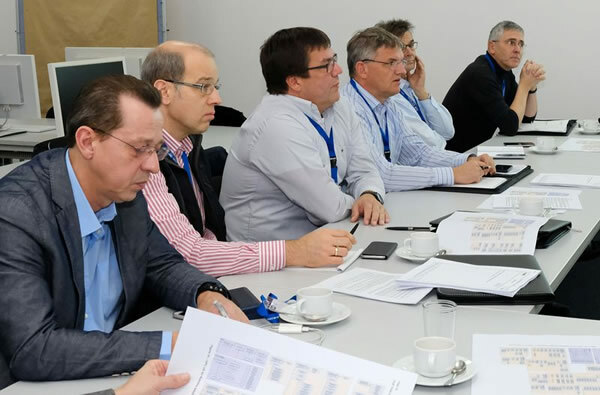 The VDMA working group "Standardized Interfaces in the Glass Industry" is working on manufacturer-independent standards with the participation of machine builders, software manufacturers and users. "The working group borrows from the results of other longer-standing VDMA working groups: Robotic and vision systems. For here, international standards based on OPC-UA are being created. We hope to present our initial results next year."